Almost every nail art lover can’t stop trying to holographic nail polish ！Holographic polishes look best under direct light, such as sunlight or strong indoor bulbs, to bring out the rainbow effect. 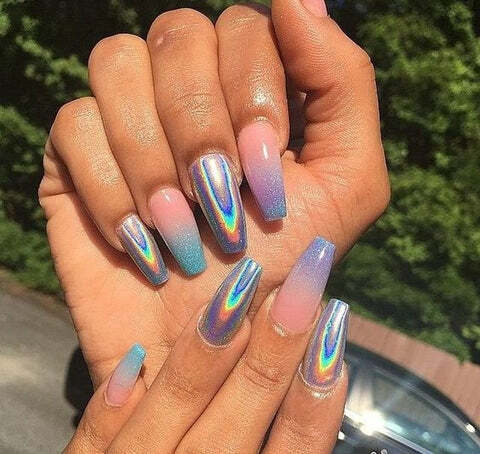 I’ll show you 30 Holographic Nail Designs here! 3. Then brush top coat, play a brightening effect.